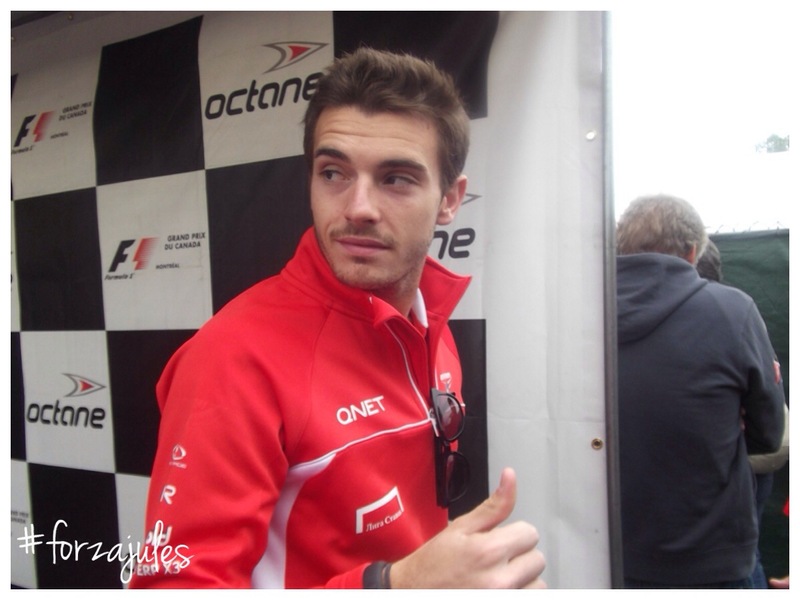 I know I have another post scheduled for today as part of Blogtober14 but I really couldn’t let this Wednesday pass without commenting on poor Jules Bianchi. At the Japanese Grand Prix on Sunday he had a horrific crash. At around lap 42 or so Sutil span out at one of the trickiest corners of the circuit. It was raining and very wet, very difficult conditions. The safety car came out and the recovery vehicle (a big massive crane) was attending to Sutil’s car. At lap 44 on the very same corner Jules Bianchi spam out and hit the recovery vehicle! Although I’m not quite sure but he went into it head on. Now if you’ve not seen an F1 car you should know that it’s an open cockpit so the driver’s head is exposed. He’s suffered some pretty serious head injuries. His family have now confirmed that he suffered diffuse axonal injury. When I looked into what this… it really doesn’t sound good. All I can say is I hope he recovers from this.